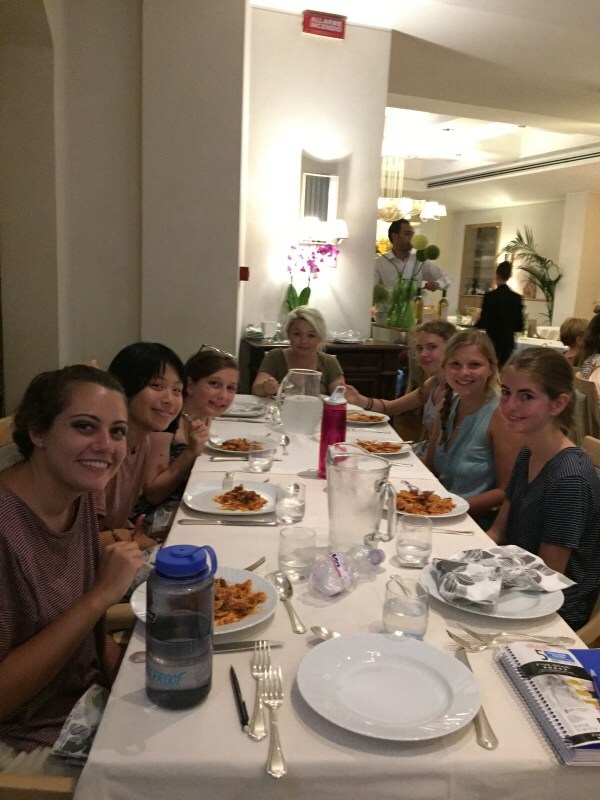 Last night the students of Spoleto were in for a treat with an amazing view of festival fireworks set to classical music and opera. 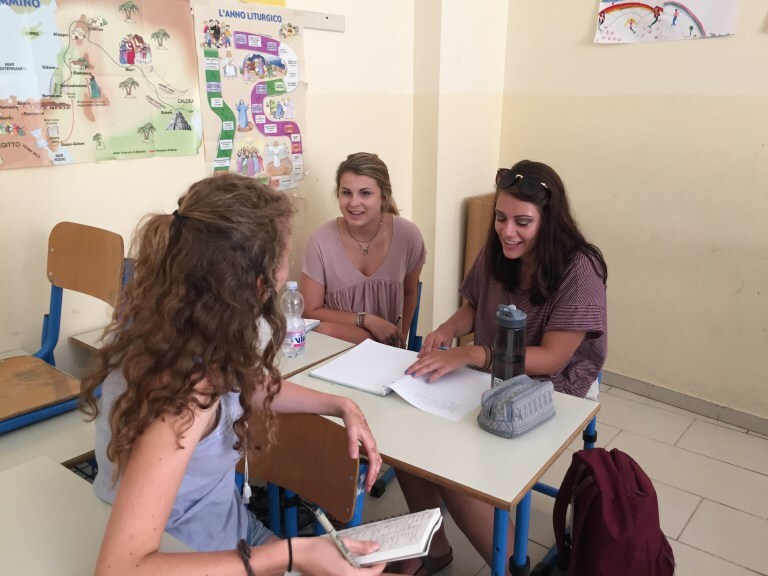 This morning students attended their classes in Italian and Arts and Ideas. 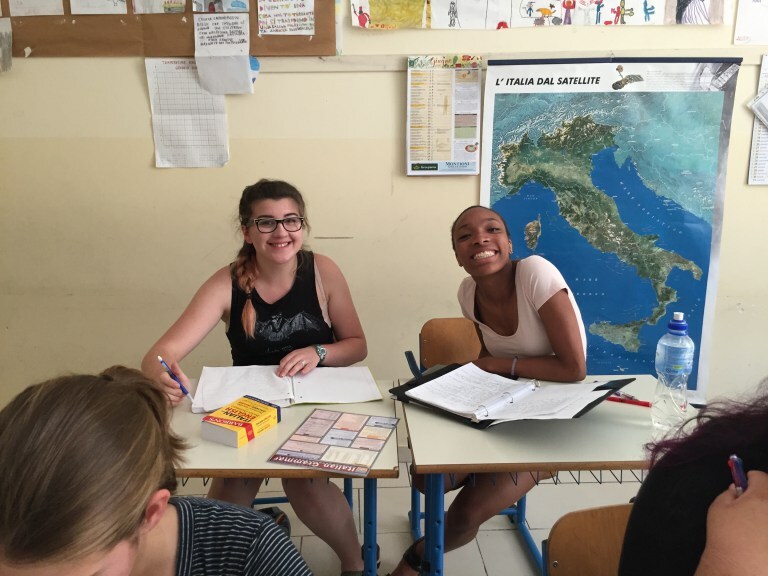 Students were able to partner up and practice using new and helpful phrases in Italian. In Arts and Ideas, students had a thought-provoking discussion about how they defined art, and they were later tasked with challenging their own notions of aesthetic appreciation. Afterwards, students either attended Arts and Architecture or a class in their chosen major. In their master classes, students were able to delve into the art they are passionate about. Visual arts students worked on sketching gesture drawings where they practiced sketching quickly and without looking at their work. 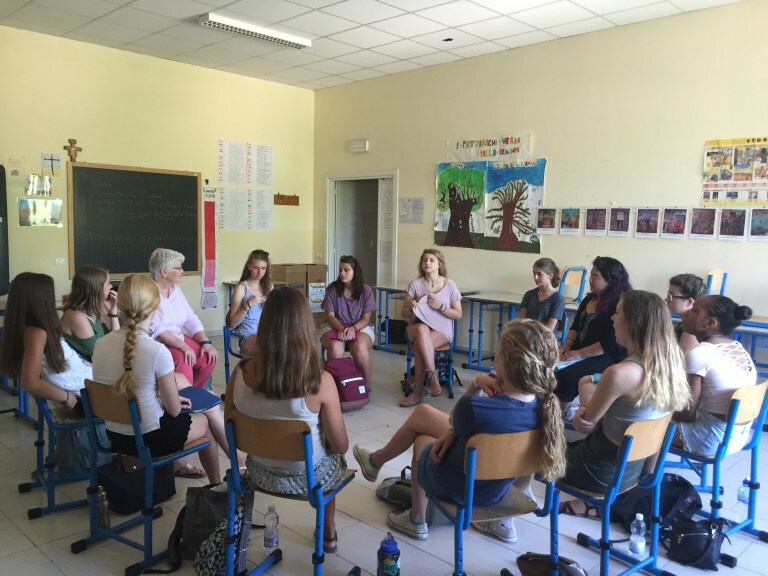 Creative writing students explored Spoleto by stopping in shops to meet local artists and restaurant owners, absorbed their surroundings, and tasted the flavors of gelato and granita as they wrote and later shared their observations and reflections of the town. Vocal and drama students chose a keyword from their songs as an object of focus. They then had to create a silent scene to represent their keyword and perform it. Violin students were joined by three Italian students and played chamber music together during their first class. Photography students walked around Spoleto during their lesson on architecture. They later edited and critiqued photographs together. 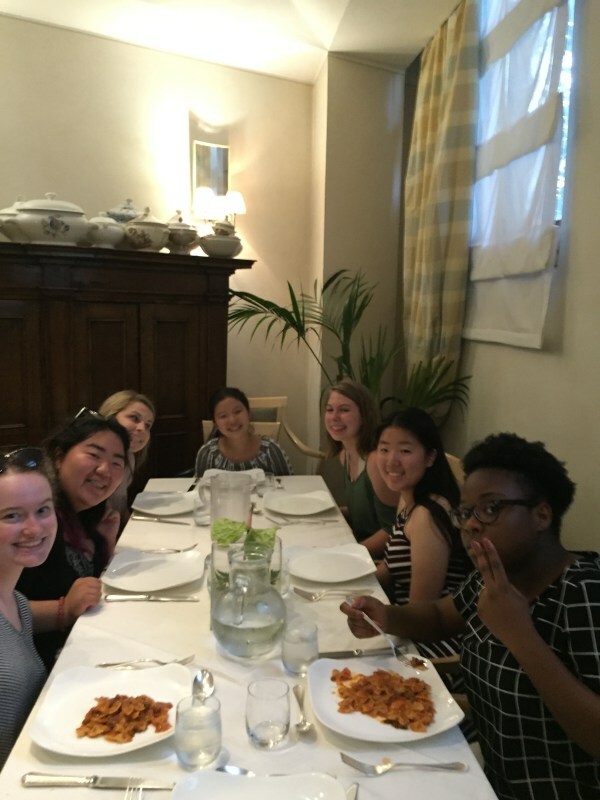 After a great day of classes, students were together again at Hotel Clituno for dinner before their team scavenger hunt around town.